This was our last stop after a long trip coming from Rwanda with the Gorillas, the migration in the Serengeti and ending up on Lake Tanganyika in Mahale National Park. 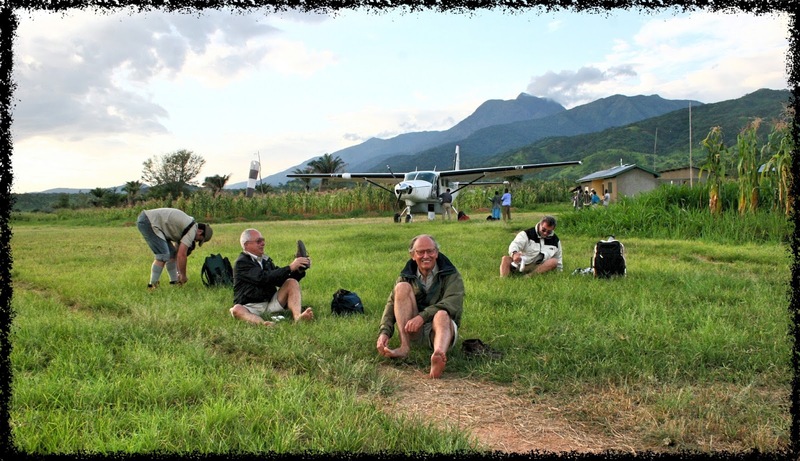 Two famous and important "gentlemen" sitting on Mahale Airstrip, cleaning their feet on the track of the luggage-trolley, feeling "relaxed"... Ready to go back to their suits and ties! What a feeling !